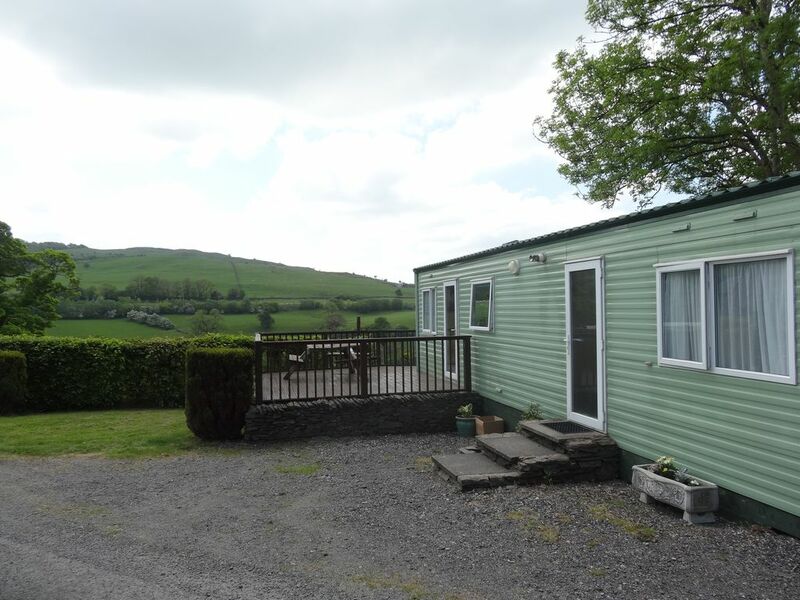 Two bedroomed Mobile Home with commanding views of the Lakeland fells. fully central heated and double glazed. The two modern mobile homes are fully double glazed with gas central heating. They have separate double and twin bedrooms, toilet/shower and a fully equipped kitchen with full size cooker, fridge and microwave. The kitchen leads to a spacious lounge/dining area with TV and DVD player.There is a spacious balcony area ideal for sitting relaxing with a glass of wine. You can watch the sheep and lambs in the fields with breathtaking views over the Lakeland fells behind. located in a peaceful and relaxing surroundings which has outstanding views over Kendal and with the Lakeland Fells in the distant and enjoy the stunning sunset. Our luxury caravans benefit from full central heating and located in the Lounge is a gas fire which will attract visitors all year round .With being a few minutes out of Kendal our guests will have an vast choice of amenities on their doorstep including a choice of supermarkets, restaurants, bistros, takeaways, plenty of shops and the Brewery Arts Centre who have a full programme of Entertainment including a multi screen cinema. Fantastic Location, Stunning Views, Peaceful Surroundings and as much Nature Watching as you like !! Friendly Owners who live on site who will ensure your holiday gets off to a flying start. Notes on accommodation: Both luxury mobile homes are fully double glazed with gas central heating. They have separate double and twin bedrooms, toilet/shower and a fully equipped kitchen with full size cooker, fridge and microwave. The spacious lounge/dining area comes complete with TV and DVD Player Outside: Both mobile homes enjoy balconies with superb views over the Cumbrian Countryside. Perfect for lazy summer evenings for dining. We stayed for a weekend and the vendor was very accommodating when we were delayed on arrival due to traffic. It is a well equipped static with everything you could need for cooking etc. and was clean and tidy for our arrival. The views are lovely out over the valley and over to Kendal. When booking the advert wasn't clear on which of the 2 homes in the advert was available and fortunately for us we were allocated the one with the larger front windows and slightly more modern looking inside. This was good because the other home accepts pets and we aren't a pet family due to allergies. The site does allow for good communication beforehand to check all this though. My only wish would be for a larger television but it didn't spoil our stay. We would visit again. thank you for your lovely. we look forward to welcoming you back. Lovely well equipped caravan with a real homely feel. Views are amazing and there is a great decking area which our 2 boys loved playing on. It is a great base to explore the lakes and after a long day exploring it was lovely to come back & relax in such a comfortable caravan. Would definitely recommend staying here. So pleased you enjoyed your stay with us and The boys enjoyed their holiday. We would love to welcome you back. We have just spent a wonderful week in Lakeland View, as a base for a walking holiday in the Kendal area. The caravan is equipped with everything you need and is extremely comfortable, and Lesley, Robert and family are very friendly and helpful. The situation is ideal for access to so many fantastic walks within a range of 15 miles. It helped that we had glorious weather, but the South Lakes area is stunning at any time. I would recommend this great value holiday base to anyone. thank you for the lovely review. We are so pleased you enjoyed your stay with us and would love to welcome you back. Accomadation well laid out & comfortable. Loved being able to sit out on the decking to overlook the veiw. Robert & Lesley made us feel very welcome & nothing was to much trouble. Thank you for the lovely review. So pleased you enjoyed your stay with us. We hope to see you again. Calum and I really needed a break after a stressful couple of months at work. I hadn't been on a caravan holiday since a child and had forgotten just how good they are. The caravan was gorgeous and very clean. The location was perfect; out in the country, but only a 5-10 minutes drive to shops and Kendal town respectively. We timed it well, lots of lambs prancing and playing in the fields right by the caravan. The views were breathtaking: farm land and nearby Kendal town. Thank you so much for an amazing holiday. We were sad to leave. We are so pleased you enjoyed your stay with us and thank you for leaving the caravan spotless. Local Pubs just a five minute drive and serves excellent bar meals. Local supermarket is situated in a small outlet park just a three minute drive away.